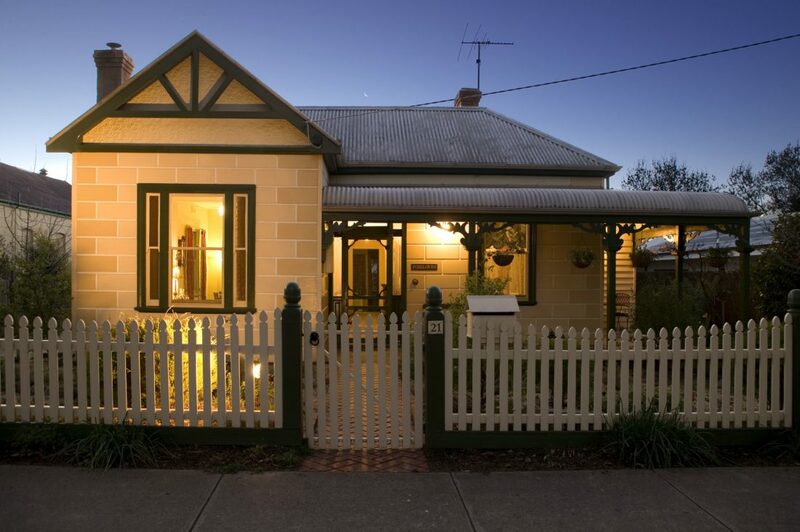 A tastefully restored Victorian Cottage, Foxgloves bed and breakfats is situated in the heart of Beechworth under the age-old elm trees. With on-site parking you can enjoy all Beechworth and the surrounding region has to offer. Within a five minute walk you can find gourmet restaurants and cafes, country pubs, boutique shopping, historical buildings, nature walks and the Rail Trail for cycling enthusiasts. Foxgloves offer country hospitality in quite elegant surrounds with all the delight of contemporary comforts. With a personalised service include cooked breakfasts, homemade afternoon teas and complimentary port and sherry served from the cosy lounge or on the plant filled patio. The fully serviced bedrooms have heating and cooling, electric under blankets and quality linen. The guest lounge and dining room has television and DVD players, log fire in winter and cooling in summer.